With their casual-cool vibes and especially iconic shoe designs, Vans is definitely a frontrunner in streetwear style. 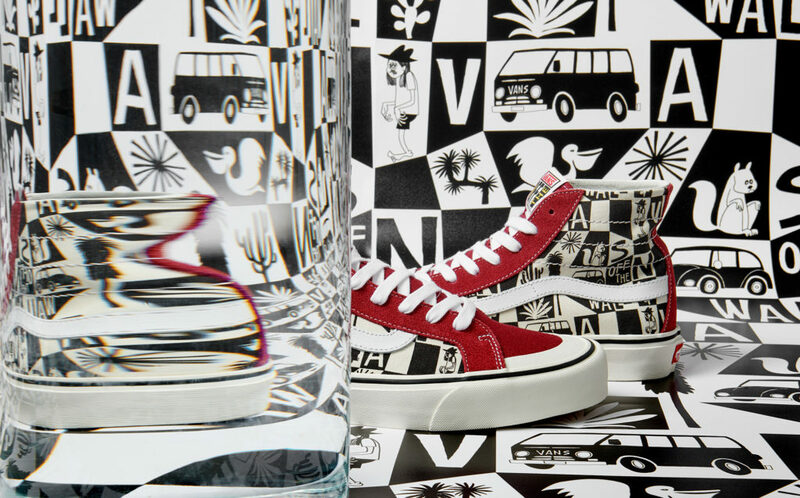 This spring, Vans meets artist Yusuke Hanai halfway, keeping it fresh in a surf culture-inspired collection, infused with elements of Vans’ California heritage. Yusuke Hanai is a renowned fine artist and illustrator, and his work has been featured internationally in the likes of Australia, Brazil, California, Hawaii, London, New York, Paris and Tokyo. His designs, Japanese-blended illustrations inspired by his local Kamakura surf community, have attracted an audience with their wanderlust-inducing depictions of travel and discovery. For this collaboration, Vans is rolling out reimaginations of the well-loved Sk8-Hi 138 Decon SF, Authentic SF and Classic Slip-On SF in retro tones and featuring, of course, Yusuke’s motifs. 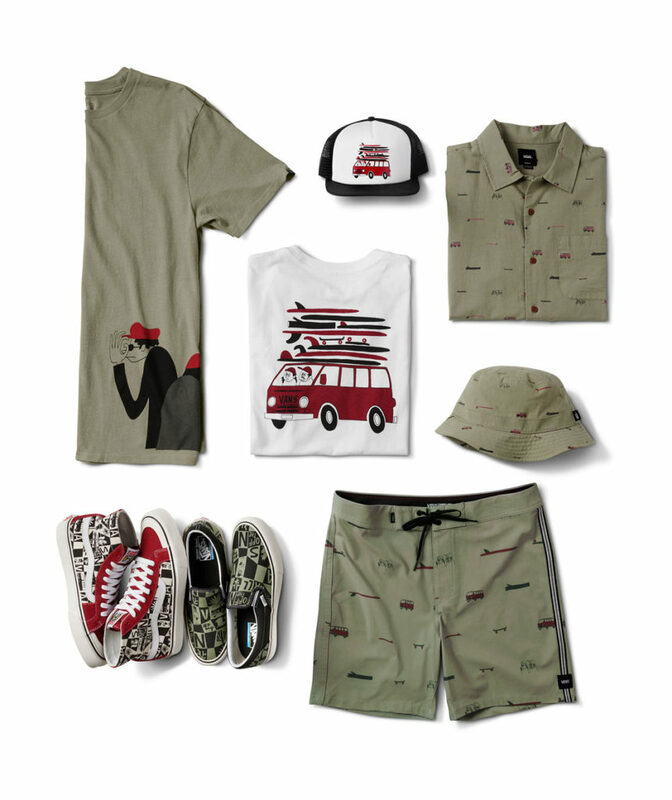 The motifs include a surfboard, skateboard, van and buddies road tripping— evoking thoughts of free-spirited fun. His signature print comes displayed across boardshorts, button-up shirts and comfy tees, everything you’ll need to look and feel effortlessly cool on yout next holiday. Some stars of this collaboration include the Yusuke Loggin short-sleeve, a flax linen blend camp shirt with an allover print, and two short-sleeve cotton tees with large-scale Yusuke graphic designs.